Yes, it would seem that I have pompholyx which of course I have never heard of before. It’s a form of eczema apparently, and the causes include everything from humidity to stress (both of which fit my situation). I’m a little alarmed to find that it may get worse but I’m also relieved that it may simply go away of its own accord. As diseases go, it certainly isn’t serious, but the itchiness is driving me slightly crazy because I want to scratch my hands to bits. Changing the subject: I wrote a post about Ming yesterday but I trashed it soon after because it seemed a bit disloyal to a son who is, after all, only 10% evil haha! But I realize it will already have been seen by some so, just to reassure you, he and I are once again on the same page, and my new nickname for him is “90%”. Another update: even though I briefly sighted a couple of the peahens the other day, I haven’t seen them again and five are still missing. Nesting season is well and truly over so I think I will have to assume that they have either flown away (to get away from the peacocks’ attention), or have been killed by foxes. I am hoping it’s the former but I will never know. My peacock-knowledgeable friend, Mike, came over to see us yesterday because Anthony was home for the day and I asked him if the males would be okay without their ‘wives’ and he reassured me that they would, but it is still sad to have lost the girls. I guess, you never know, they might come back. That’s the risk with free-range but I never wanted to pen them in. I’m off soon to go into the nursing home for the afternoon. It is only one street away from the beach so much cooler than here on the farm. Pompholyx is not contagious so that’s okay; I just hope he doesn’t notice that I have taken my wedding and engagement rings off because there were a couple of blisters underneath them. My ring finger feels really naked as, except to clean the rings, I have never taken them off. No big deal re trashed post – just a normal kid in 10% evil clothing – ha! Mostly a lamb – phew! I have some in the frig – thanks Sharon! I’m sorry to hear about the peahens. Hoping that the itches go away soon! I’m sure the peahens are having a mini holiday. OMG saw one with chicks this arvo but then they ran under one of the sheds – there is hope! Hi Julie, in this weather that must be terrible. A friend says re a rash on a friend’s son’s arm ” get some paraderm plus, its a cream that has 4 way action in it.. what i used on when she had pitterisus rosorea.. it will stop it from itching also. think you can get it from woolies. The cream as it will stop the itch and has antibacterial in it also, cos he has been scratching you don’t want them to get into sores.. Best cream for chicken pox also. ” I’ve never tried it and of course you should check with a chemist but something like this might be worth a try? Good luck. Thanks so much, Susan, for those recommendations! Sorry about the itchy hands, Julie. It’s so strange it comes from nowhere. Off to the doctor! Surely there’s a cream! Oh, what a joy is this internet thing!! I just love that view of the peacock showing it’s rear feathers. I’ve got a closer view of the same ‘rear end’ of a peacock at the zoo and I find it fascinating to see the pattern and colours are just as interesting as the peacock’s front view. As I may have mentioned on my blog, I have intermittent cognitive dysfunction and this afternoon was IT! I read your 5th paragraph to mean that you asked Mike if the males (Anthony & Mike) would be ok without their wives (you & Mike’s wife) INSTEAD OF…… would the Peacock males be ok without the Peahens. And that it was sad to have lost the Girls (yourself & Mike’s wife). Then of course you went on to mention that the girls (you & Mike’s wife) don’t like being penned in & it’s better to ‘free range’ – lol. I could not help laughing as I re-read your paragraph several times to comprehend the correct meaning. Sad that there are times when my brain messages (and I actually wrote massages first up by the way) go astray. Sometimes my fingers do not type what my brain tells them to, meaning it can take all afternoon to write one simple post or 30-40 mins to read one of the blogs I follow. I’m not trying to make light of Anthony’s intermittent confusion, I’m just saying that in a small way, I can understand how he might feel. Ah, we have an alo tree right here – thanks bulldog! Your itchy hands sound painful – hope the above suggestions come up with a cure. 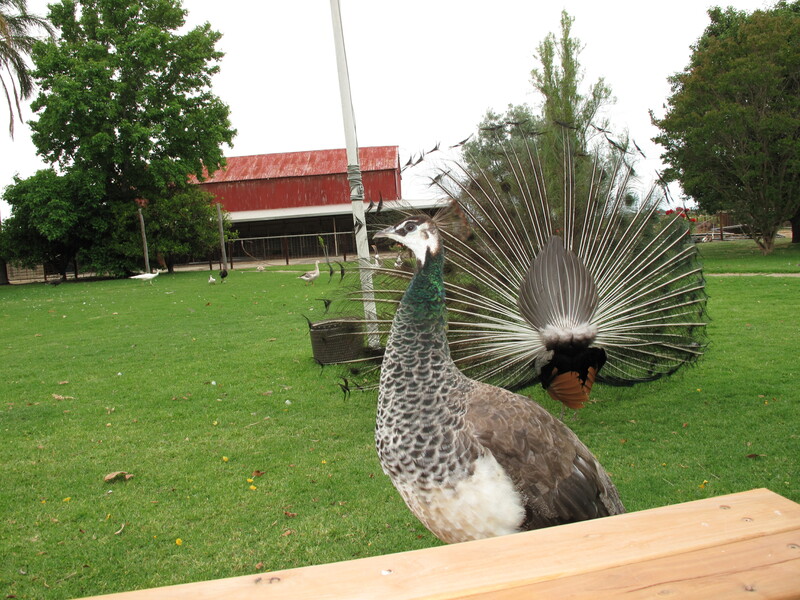 Very sad to hear about the peahens – hope Gutsy9 is too well grounded to go walkabout. I just went out to put the geese and duck into pen and saw Queenie (our oldest peahen) with two chicks! I watched as she took them into a hiding place, then I searched the block, then I realized I should leave them alone. Oh I am so crossing my fingers now! Oh, what lovely news! Here’s to them remaining safe. Thanks for this. Yes, even though Ming is mostly very open with his feelings, he has been a bit ‘closed’ and uptight lately. It is only when I look at our situation through his eyes that I see things more accurately. Post-surgery, post-trauma, his grief and guilt re accident and subsequent relief, court case coming, unfit for any job requiring physical labour, depression, and the list goes on. And yet, mostly he he buoyant and boppy so maybe he is just exhausted. I have been expecting too much of him and today we talked it out and are back to ‘normal’ whatever the hell that isC! Thank you so much for this information Paula! May I send Ming to you for awhile? Hahahahaha! You may. He would come back to you loving you even more! My kids used to HATE me when they were teenagers! Nothing like a protective mom to drive a child batty!!!! Itchy left hand means you’re coming into money. Itchy right hands means you’re going to lose money. Sounds like you’ll have quite a flow-through fund situation! Hope the itch goes away soon! Looks painful. It might be a reaction to soap or washing up liquid. I had problems with my hands when I stopped using Fairy Liquid to wash the dishes and used the cheaper supermarket own brand. My hands came out in blisters and were very itchy. I went back to Fairy and the problem disappeared. I have never had the problem since. When the shops have offers on Fairy I buy umpteen bottles to keep me going until it is reduced again. Your problem may be due to soap as well. 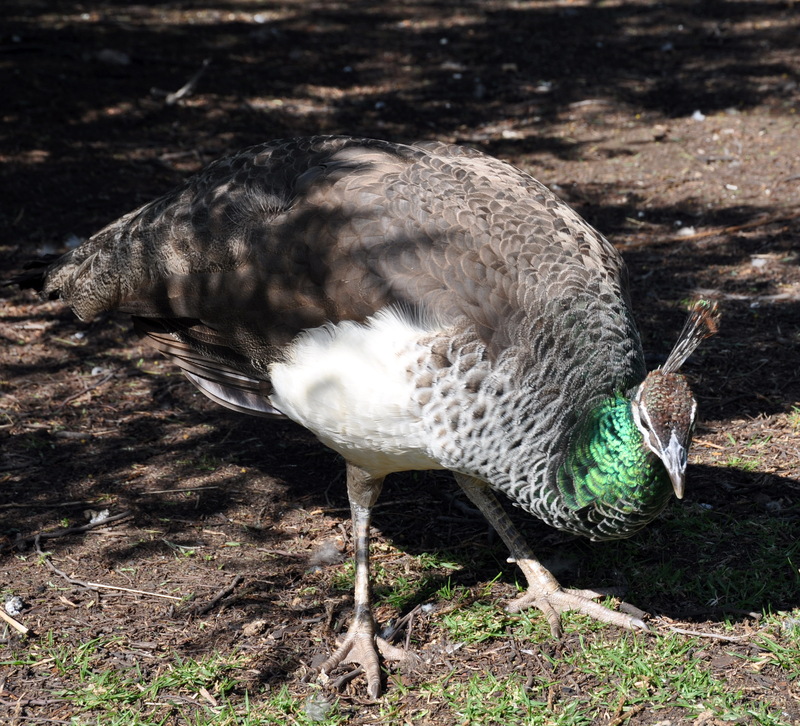 Peahens are lovely. Green feathers are very striking. When I was on my trip to Canada, my lower legs got all itchy and burning, and the itching was driving me crazy. I started taking Benadryl and rubbing with coconut oil, but it’s only 2 days now where I am finally feeling a lot of relief. I think mine was contact dermatitis from the new boots I bought for the trip. But it sounds so much like yours, I’ll have to check out the site.